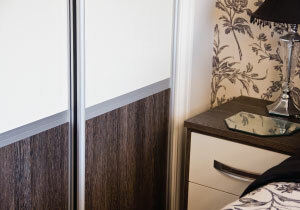 HPP offer a huge range of doors, incorporating Avanti stock doors, Aspire the vinyl wrapped door range, the Aspects PVC edged door range and the Glide sliding door range. With hundreds of colour, style and finish combinations we're certain to offer the door you need. 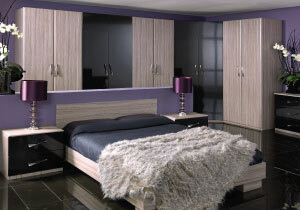 Avanti Doors from HPP are our range of off the shelf furniture doors. They are 22mm thick, available in Shaker style or as integrated handle J-Pull doors in a comprehensive range of sizes complete with matching accessories. Best of all, they're available for next day nationwide delivery with no lead times! Avanti doors from HPP really are ready to go. HPP manufacture a full range of MDF vinyl wrapped doors for use in kitchens, bedrooms, offices and virtually any furniture situation. 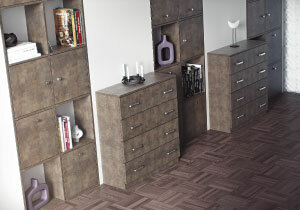 The vinyl coverings are tough, hard wearing and durable. 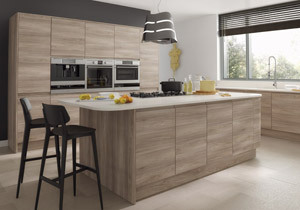 HPP doors can be made any size up to 2400mm high and 996mm wide and come in a vast range of finishes and styles ranging from traditional woodgrains to contemporary high gloss. Given the right care these doors will give many years of trouble-free use. All our Glide sliding doors are made-to-measure up to 2400mm high and 1220mm wide within a quick lead time. We offer over 100 panel finishes which include MFC, vinyl wrapped, glass, mirror and acrylic which are all housed in a high quality aluminium frame with integrated soft close. Glide sliding doors are available in a three panel design or one panel with optional adhesive cross rails to give a multi panel effect.